When will be WWII's Most Daring Raids next episode air date? Is WWII's Most Daring Raids renewed or cancelled? Where to countdown WWII's Most Daring Raids air dates? 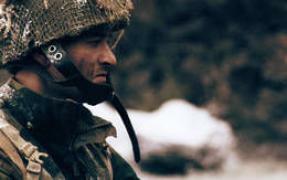 Is WWII's Most Daring Raids worth watching? 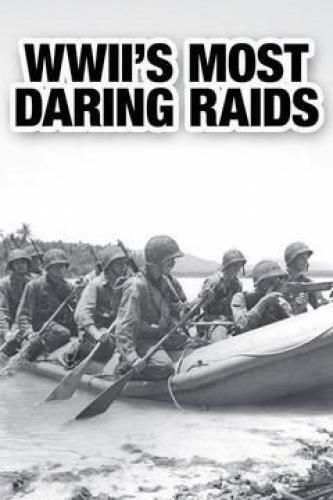 They were U.S. paratroopers, Norwegian operatives, and British Commandos, Allied teams leading high-risk operations throughout Europe, Africa, and Asia to fight Hitler and turn the tide of the war. WWII's Most Daring Raids puts you in the heart of the action, giving you a minute-by-minute account of the most astonishing surprise attacks against the Third Reich. We forensically examine how exactly these assaults played out, through expert analysis and testimonies from the brave men who carried them out. Operation Archery was a British Combined Operations raid during World War II against German positions on the islands of Maaloy and Vaagso, Norway, on 27 December 1941. 570 British Commandoes raided the islands to wipe out fish oil factories used to make explosives and to force Germany to keep increased forces in Norway that might be used on other fronts. It's July 10, 1943 and the Allied Forces have evicted the Axis Powers from North Africa and can finally begin the Italian Campaign. The first mission: Operation Husky, a massive amphibious invasion of the island of Sicily. Before the assault can start, however, an elite new unit of U.S. Army Rangers and combat engineers called Force X must storm and clear the beaches and main streets of Gela. Thousands of ships, aircraft, and troops depend on the success of these soldiers. It's a brutal mission, but failure is not an option. A secret British regiment in January 1942 led a daring raid on Buerat, a Nazi-occupied Libyan harbor well behind German lines. This was a joint operation of the Special Air Service (SAS) and Long Range Desert Group (LRDG). The raid destroyed supplies, fuel, port/communication facilities vital to Field Marshal Erwin Rommel's Afrika Korps. An elite squad of Norwegians destroys the heavy water production facility at the Vemork hydroelectric power plant at Rjukan, Norway in February 1943. The Nazis intended the heavy water for nuclear weapons research. The British Special Operations Executive (SOE) named this raid Operation Gunnerside. 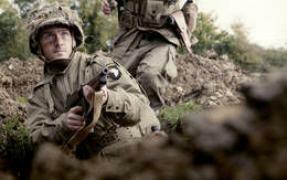 WWII's Most Daring Raids next episode air date provides TVMaze for you. EpisoDate.com is your TV show guide to Countdown WWII's Most Daring Raids Episode Air Dates and to stay in touch with WWII's Most Daring Raids next episode Air Date and your others favorite TV Shows. Add the shows you like to a "Watchlist" and let the site take it from there.